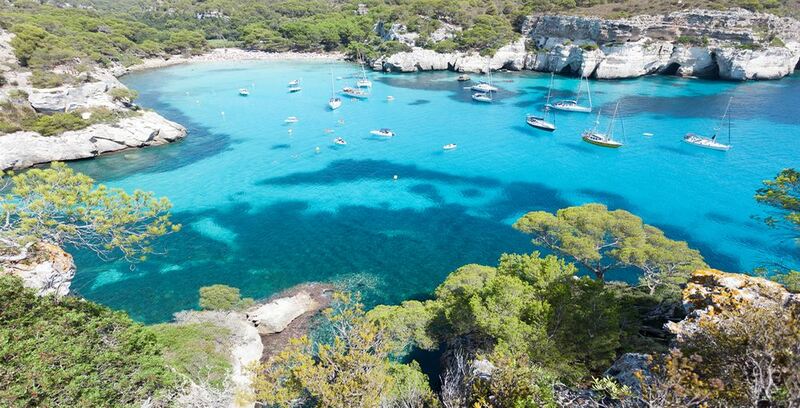 These bays on the southern coast are the most popular for the beach holidaymakers of the island. The beach of Macarella opens at the bottom to a ravine covered with dense pine forest. Macarelleta is the neighbouring bay, a little smaller but just as worth seeing. The turquoise translucent water is exceptional. The surrounding cliffs are impressive and overwhelmed by the appearance of prehistoric caverns.